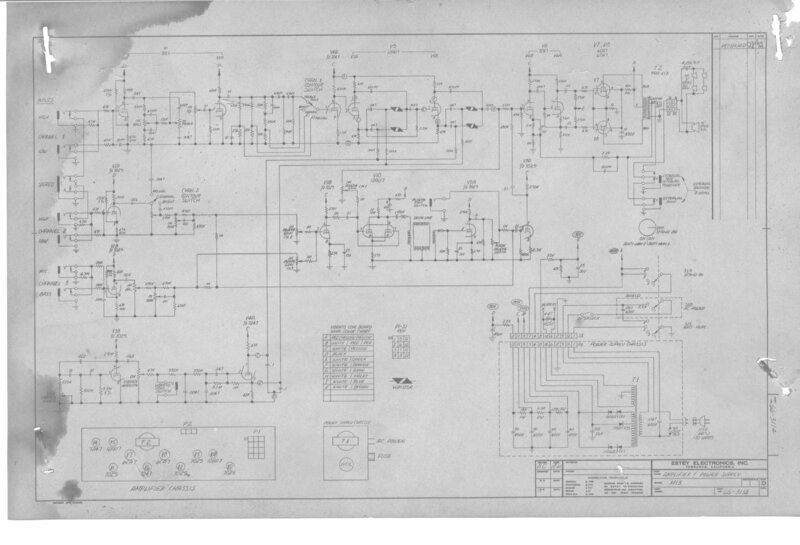 please feel free to submit it to me. 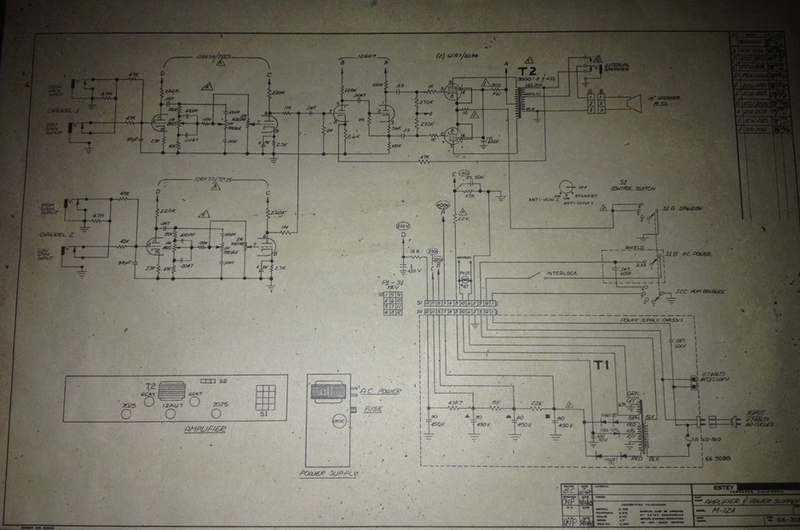 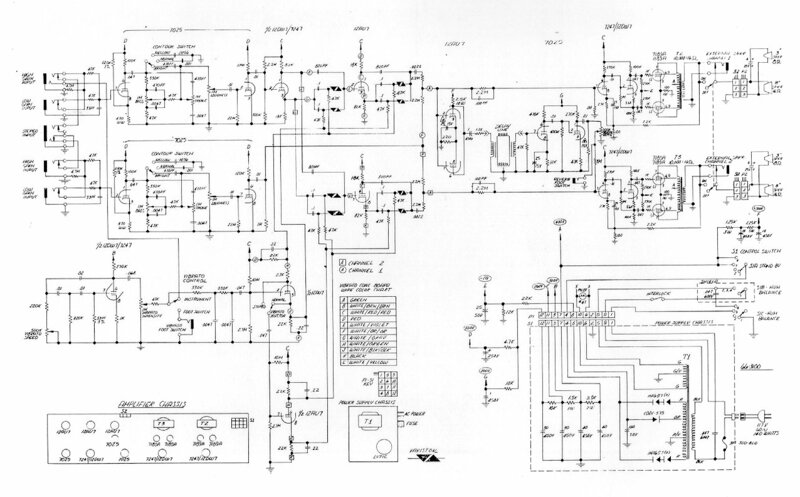 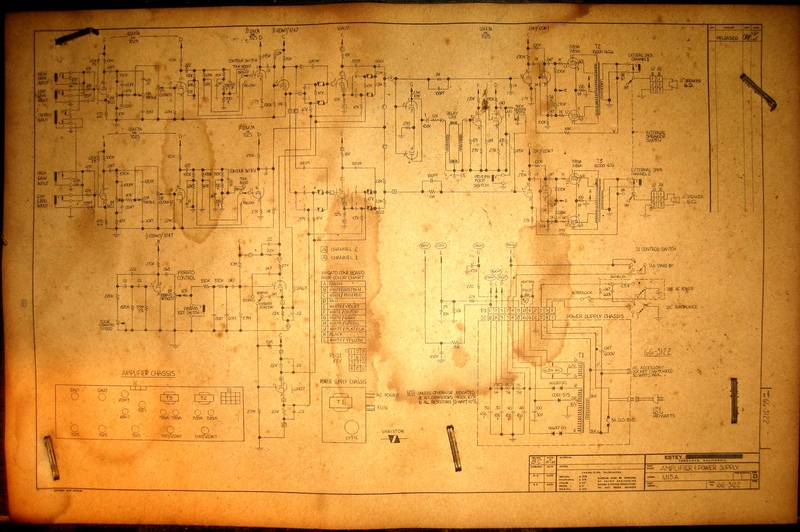 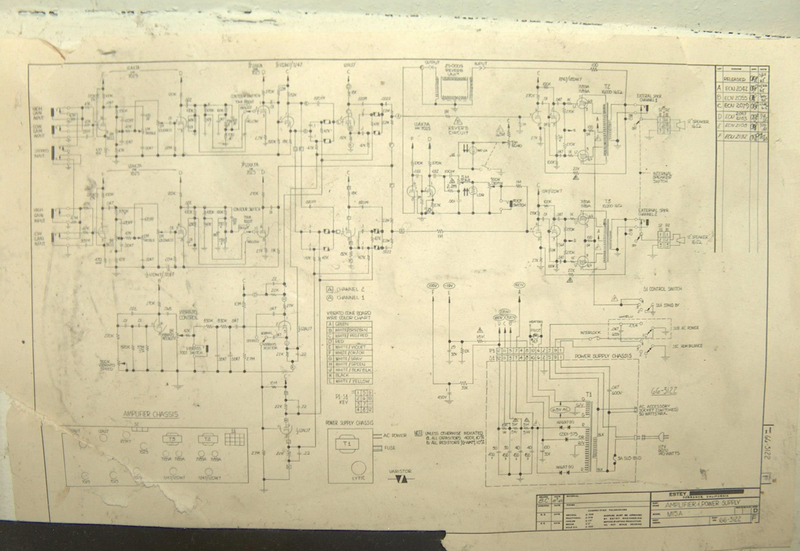 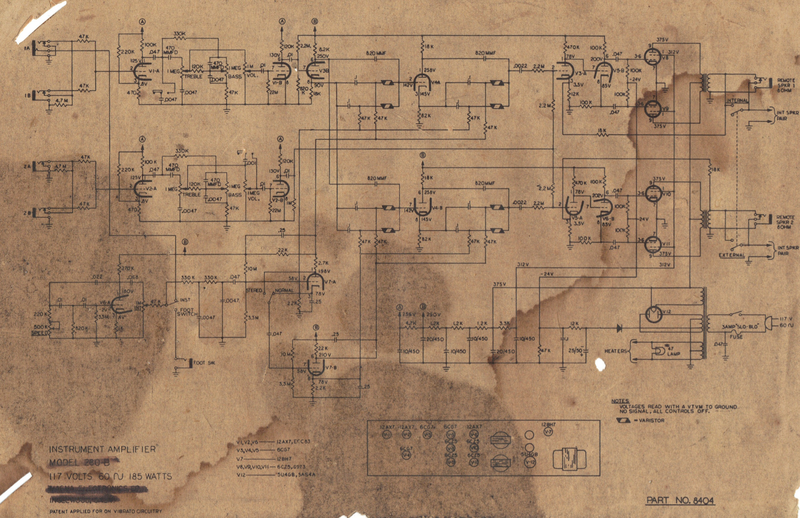 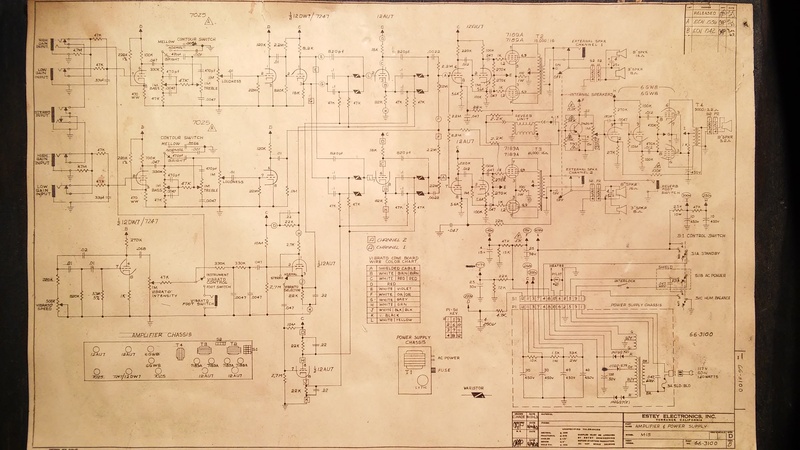 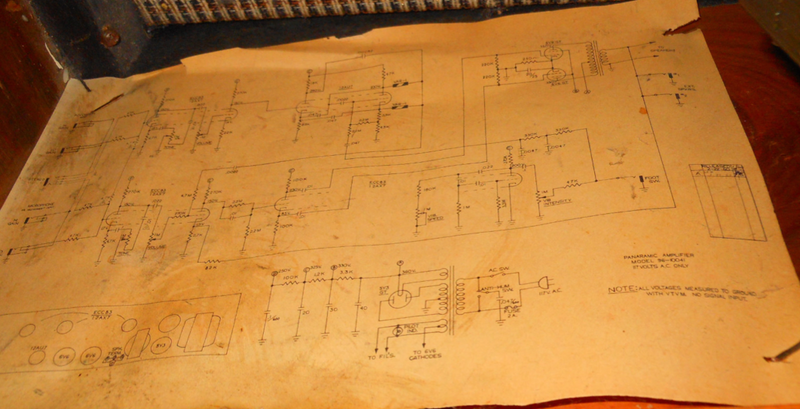 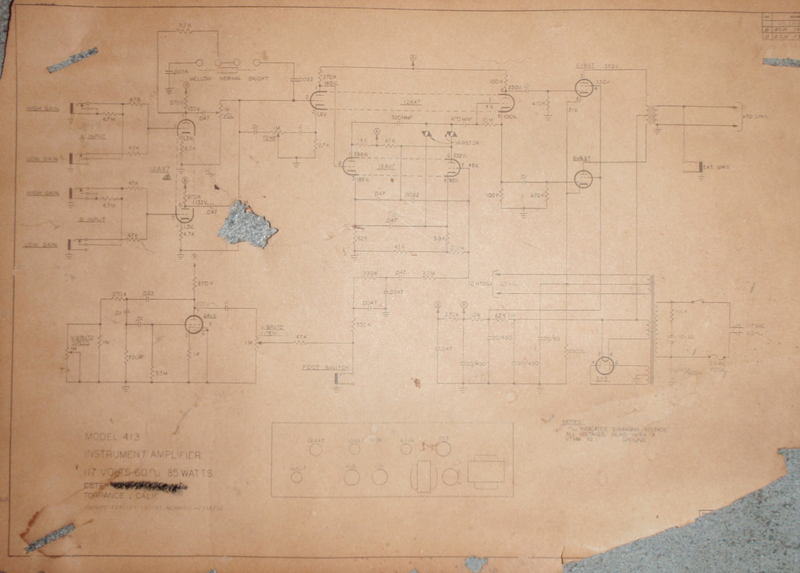 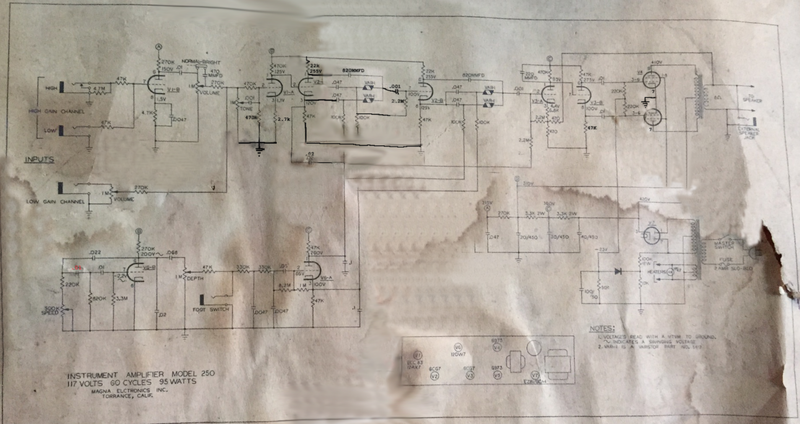 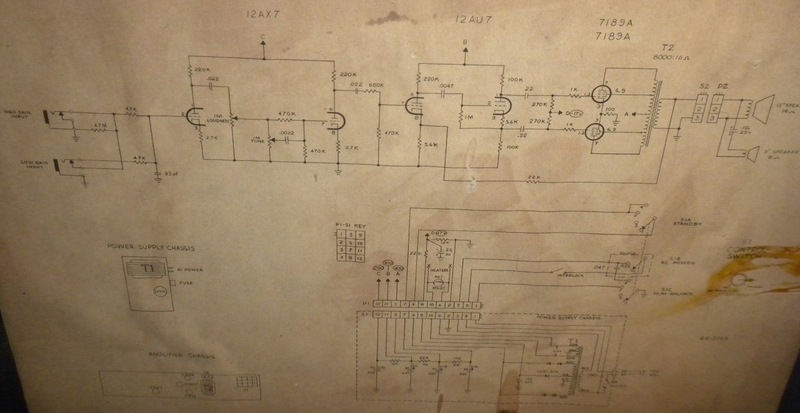 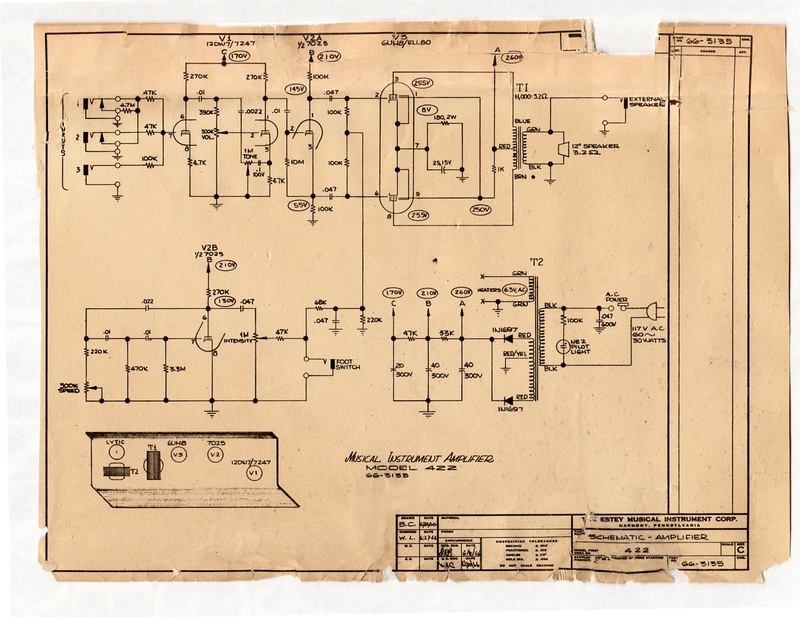 Special thanks to Stephen Keller for submitting several of these schematics, Jerry Dragon for the Aug/64 M15 schematic, Mark Storch for the M15 3x8 schematic, and Steve Luckey for scanning and cleaning up the M2 and M14 schematics! 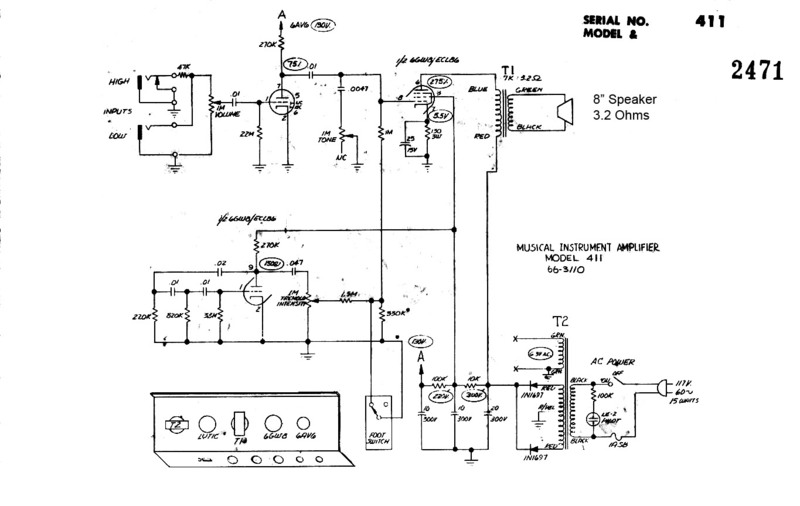 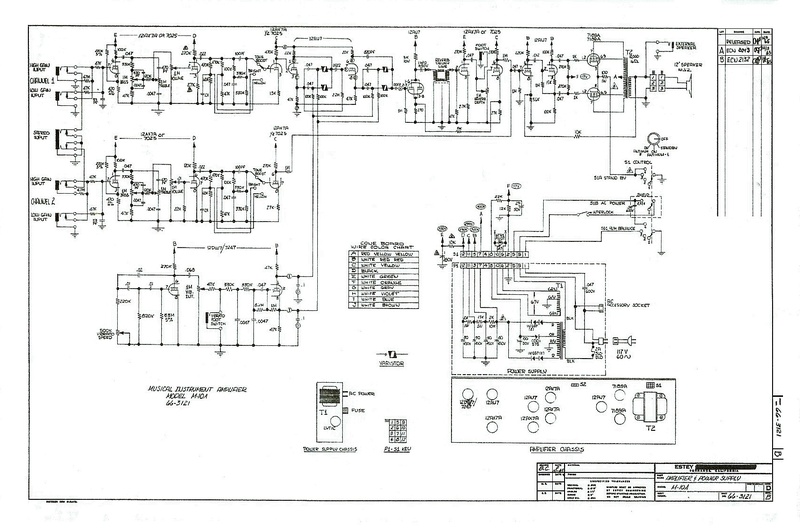 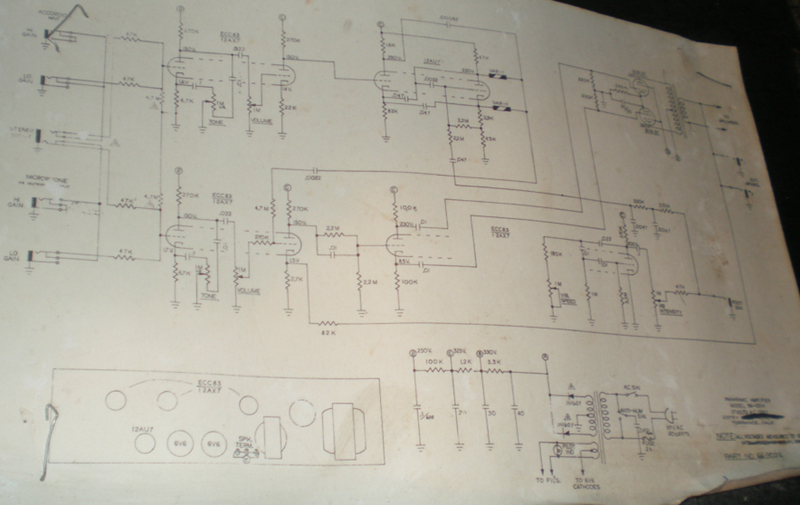 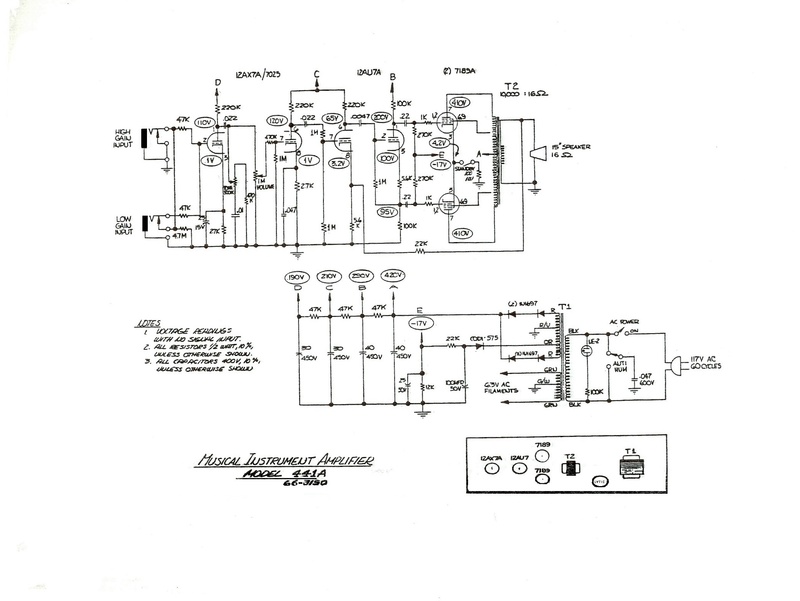 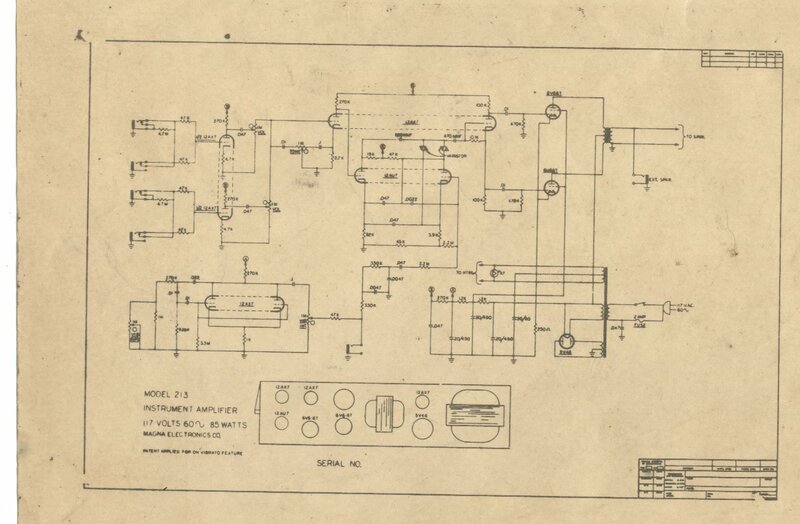 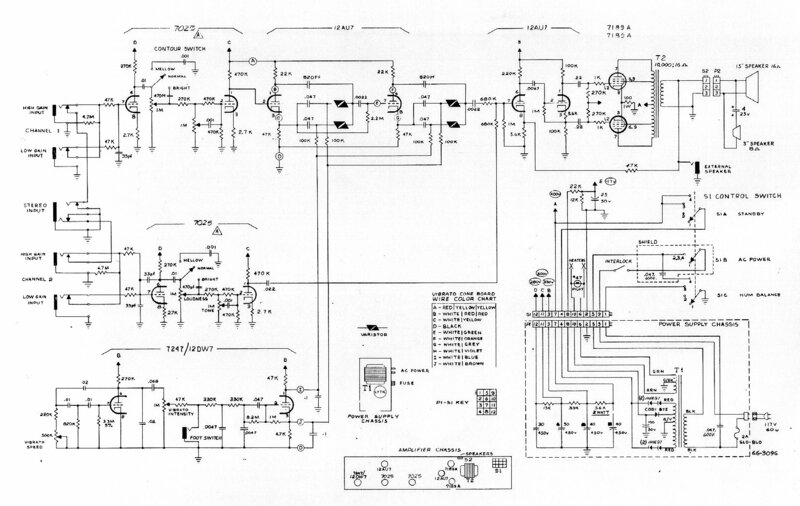 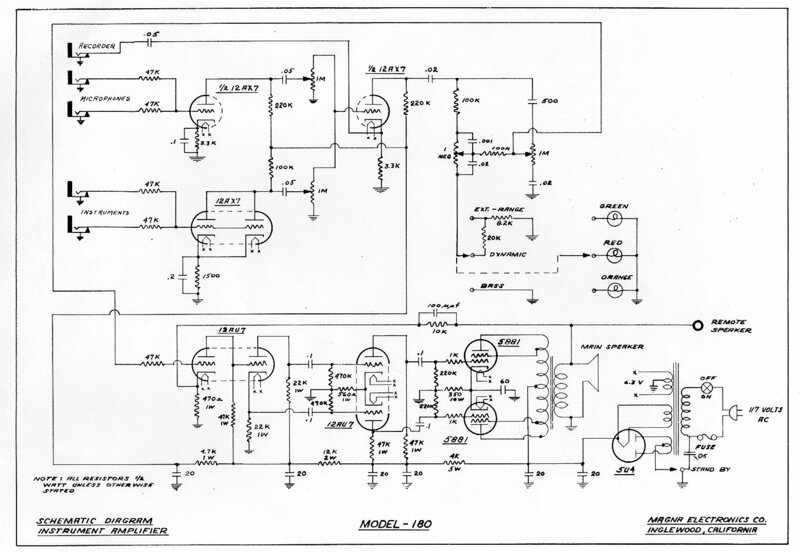 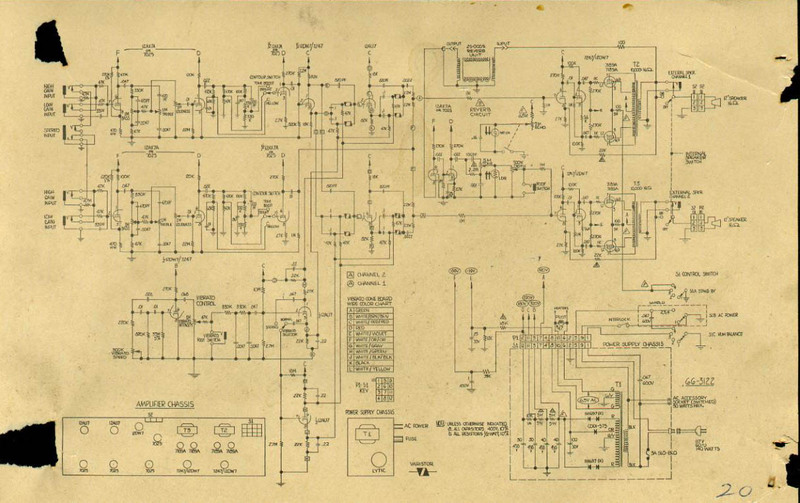 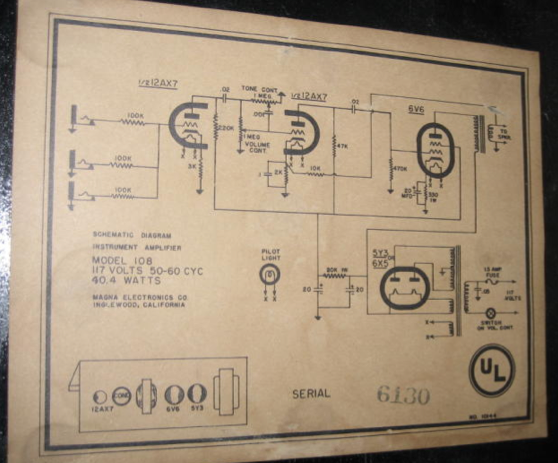 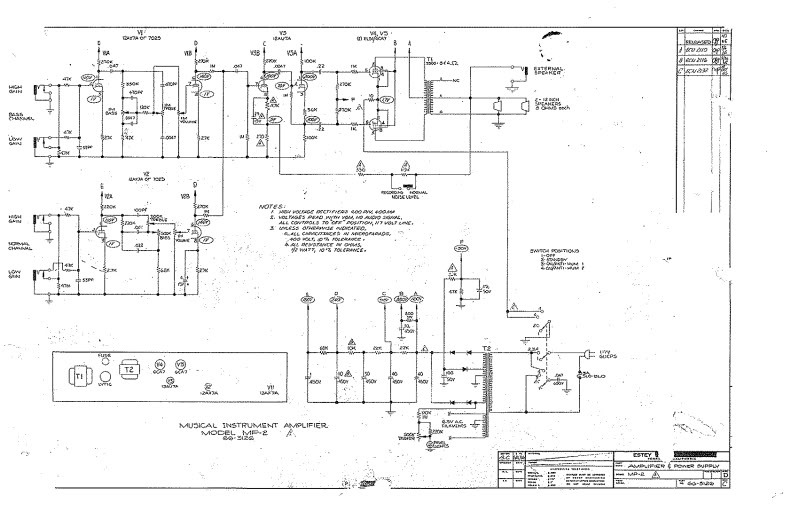 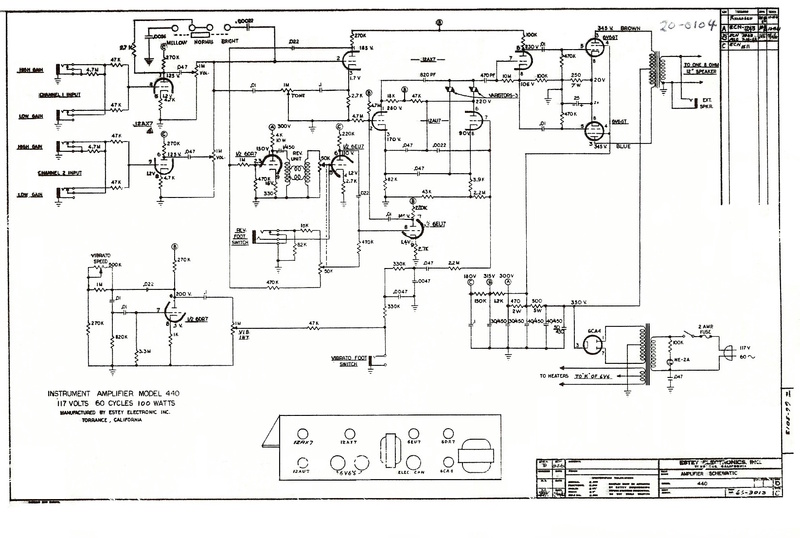 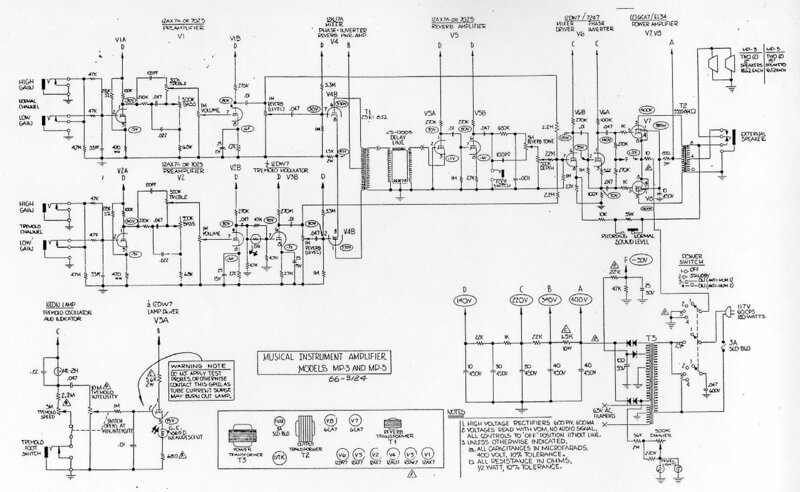 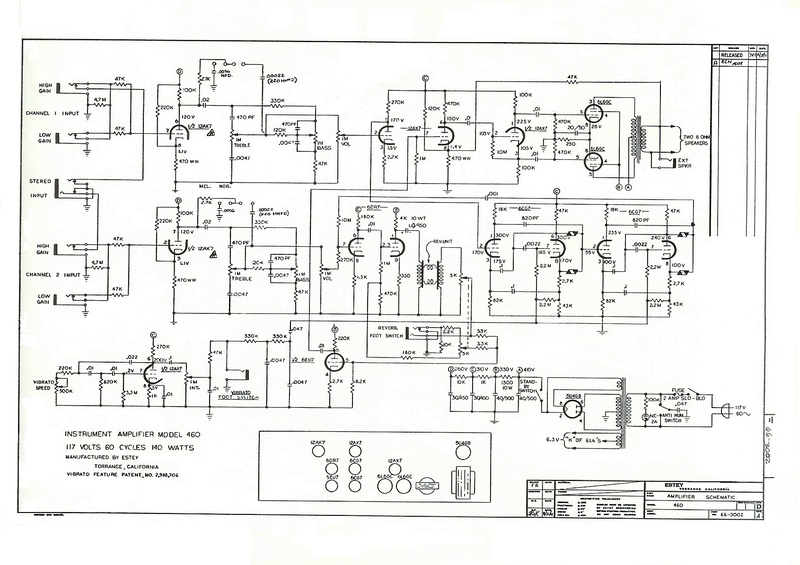 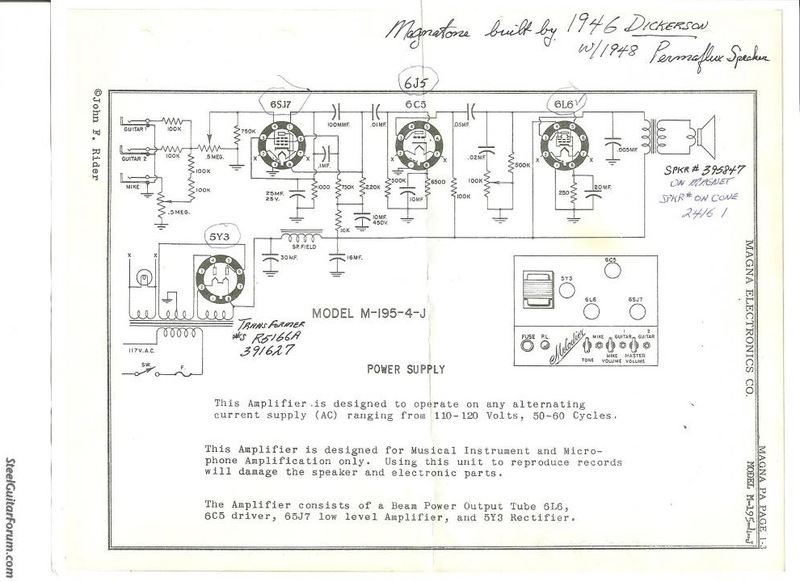 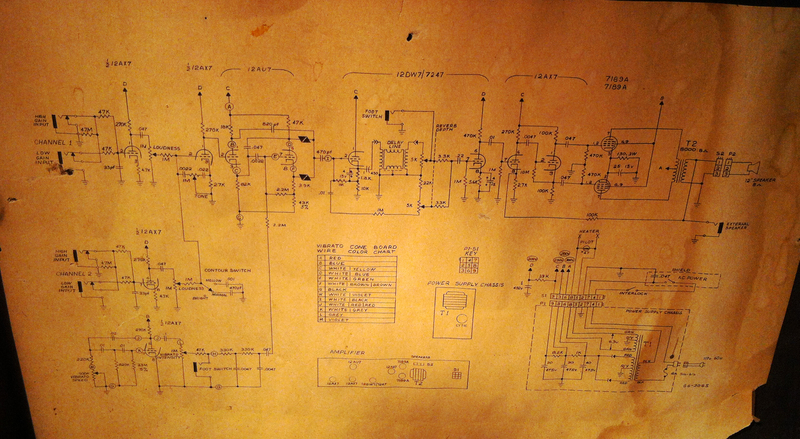 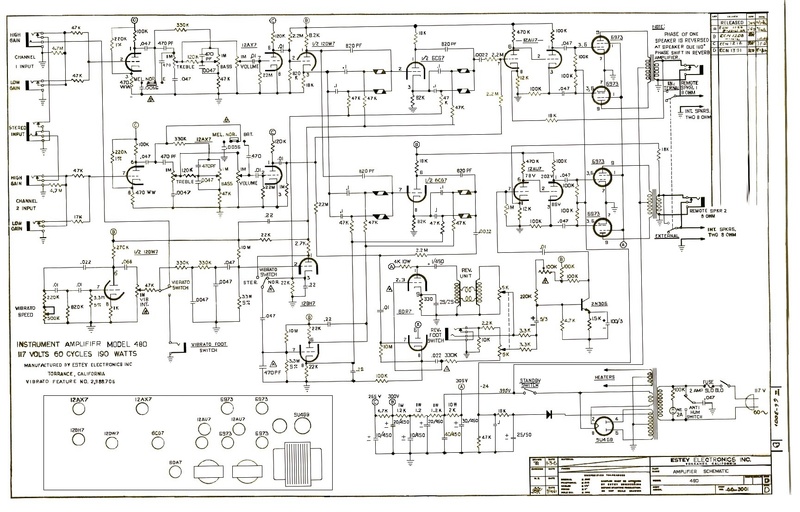 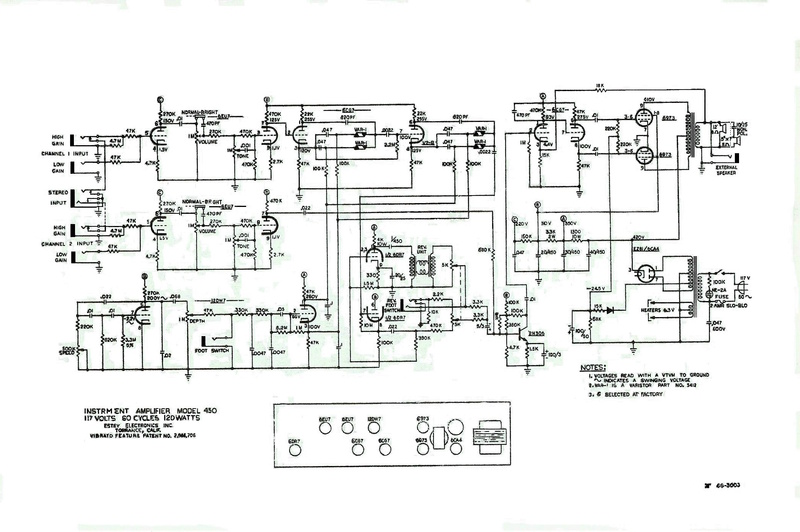 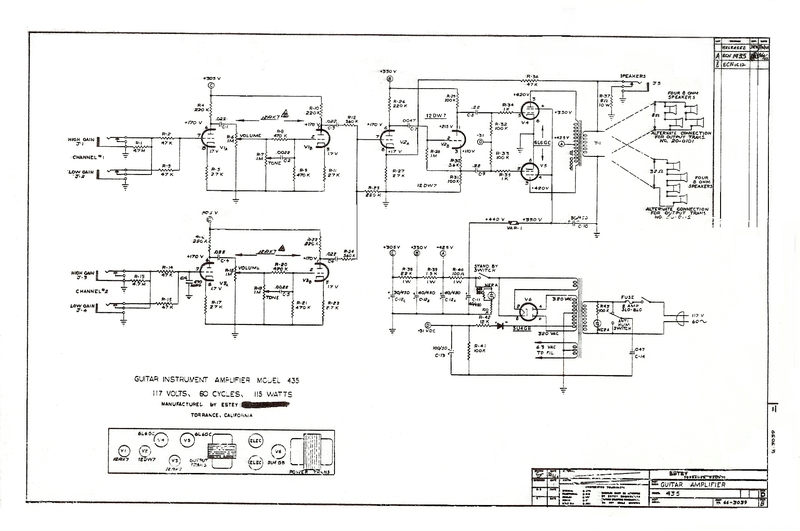 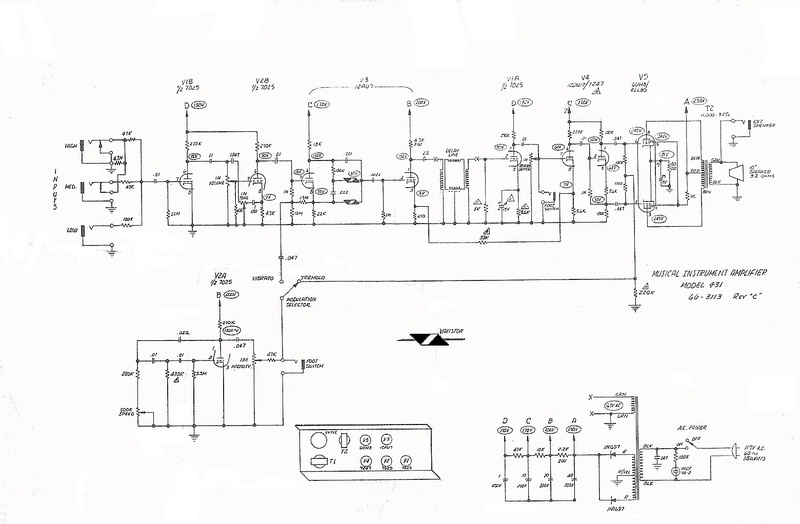 Don Garvin recently contributed all the solid-state schematics and many tube amp schematics as well! 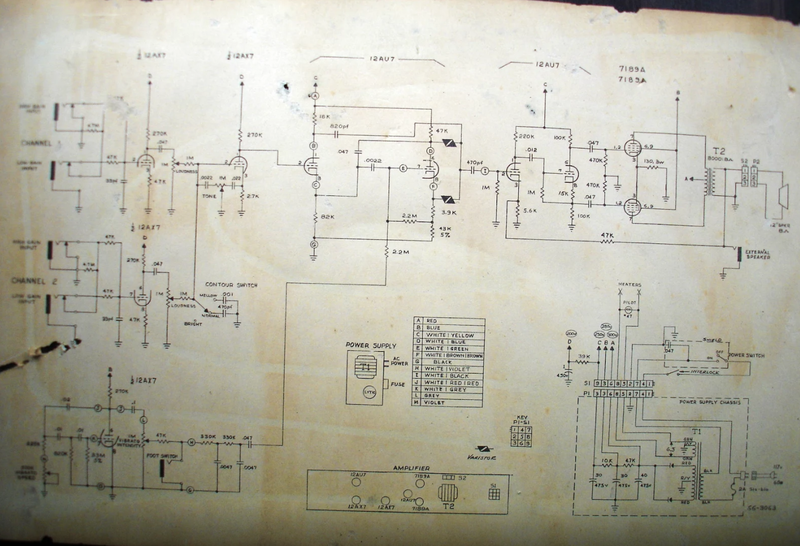 Early Dickerson model with 6SJ7 6V6 5Y3. 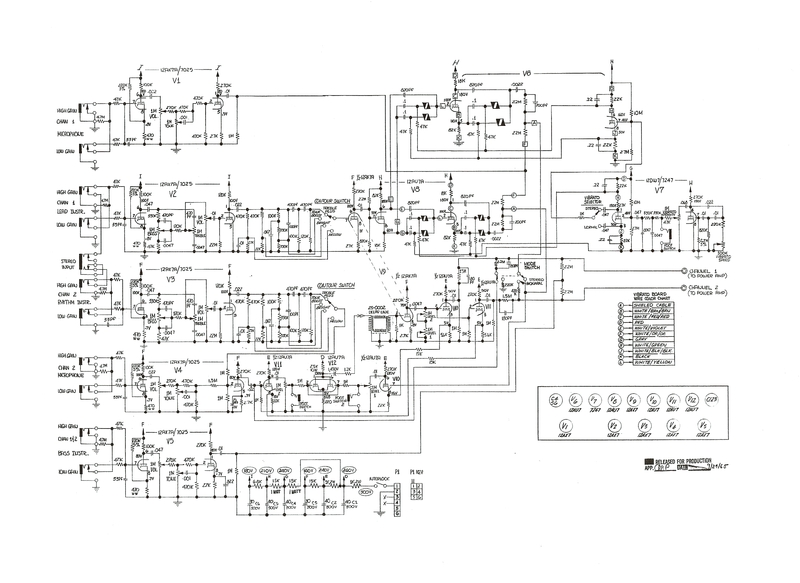 The M-199-3 is almost the same circuit. 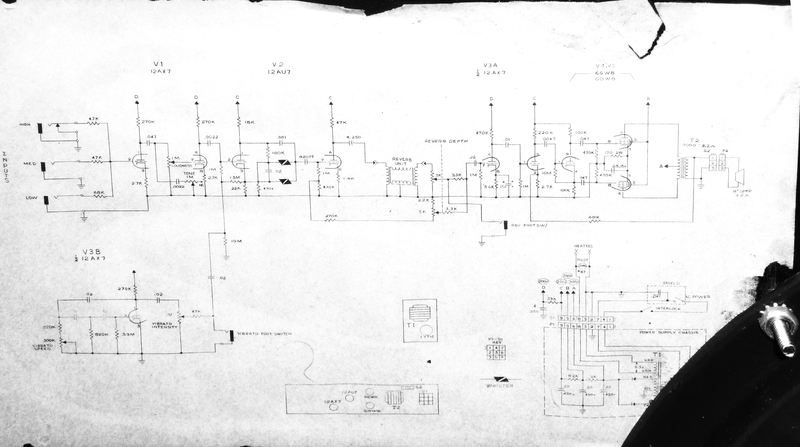 Magna M-199-3 (see Dickerson schematic above). 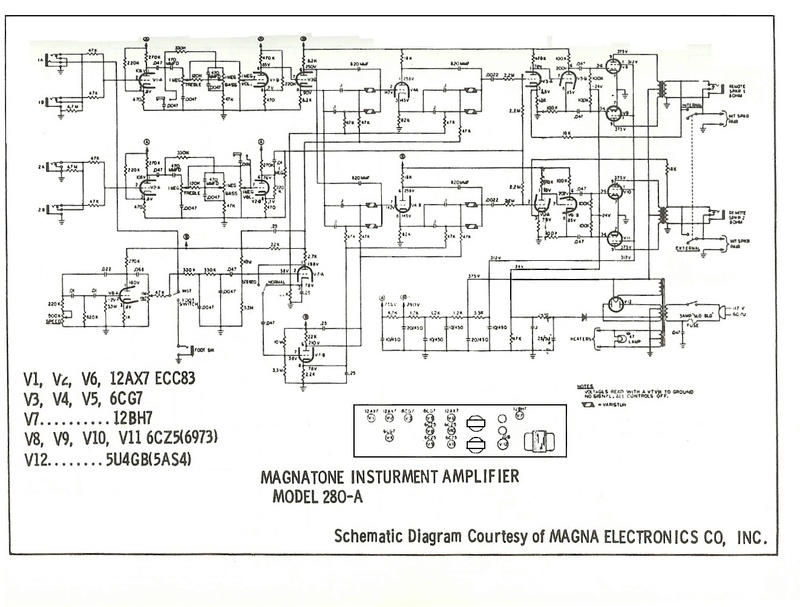 Magna M-195-4-J Melodier with 6N7 2x6V6 5Y3 (submitted by John Summers). 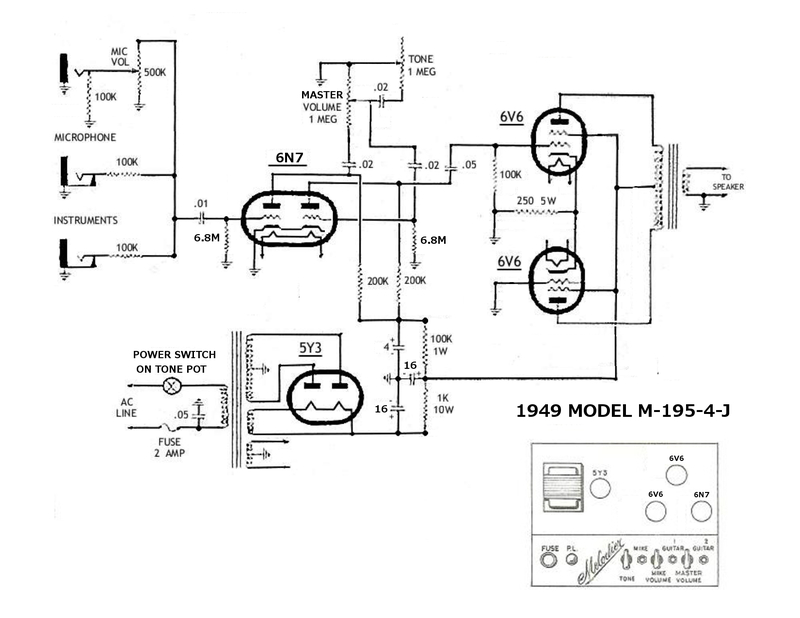 26R The Unique 26R, not a magnatone circuit, but it uses the Bonham vibrato. 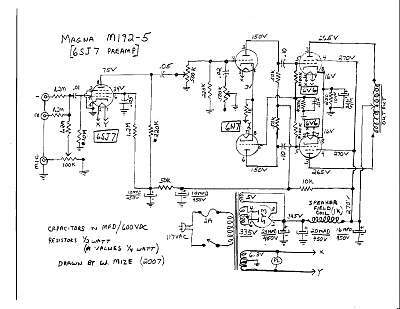 This circuit was used in the PANaramic 1210 as well as several other 1x12" other brands, like Titano, Tonemaster, and Noble amps. 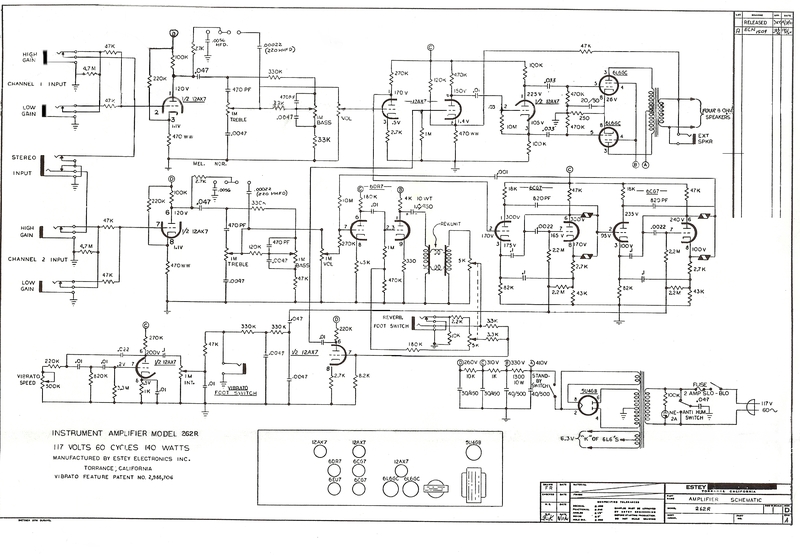 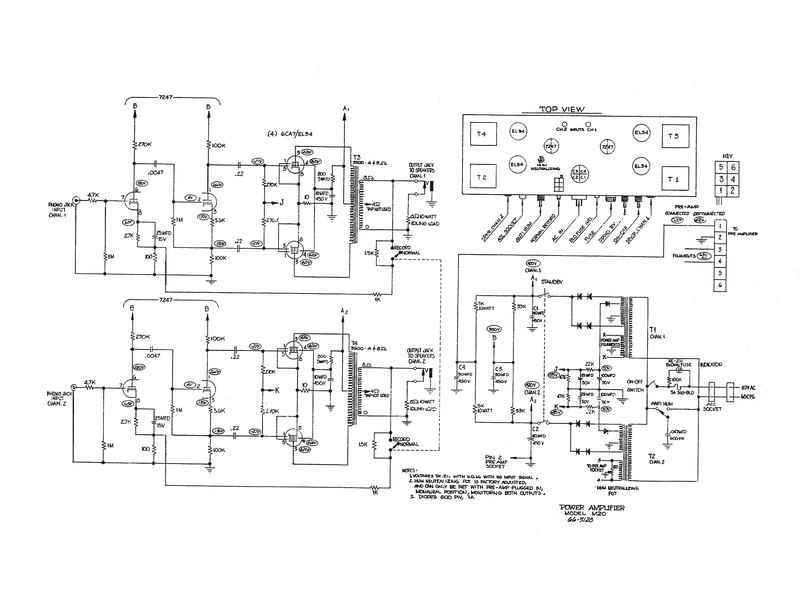 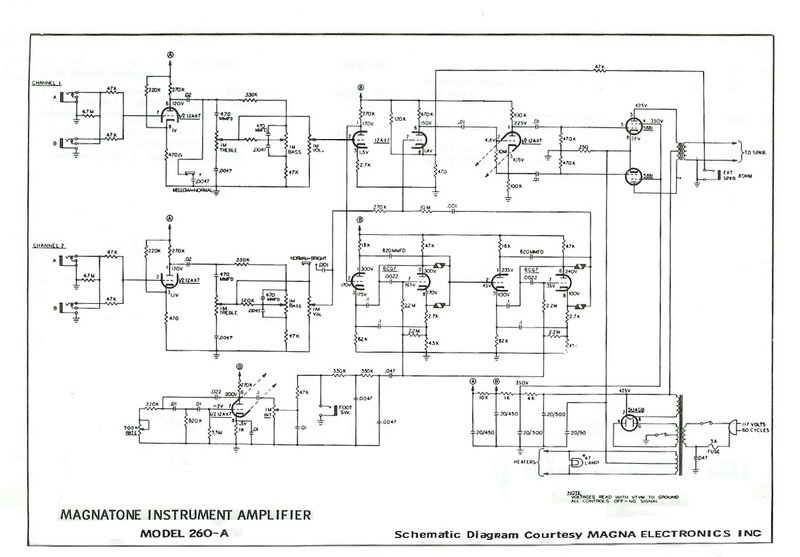 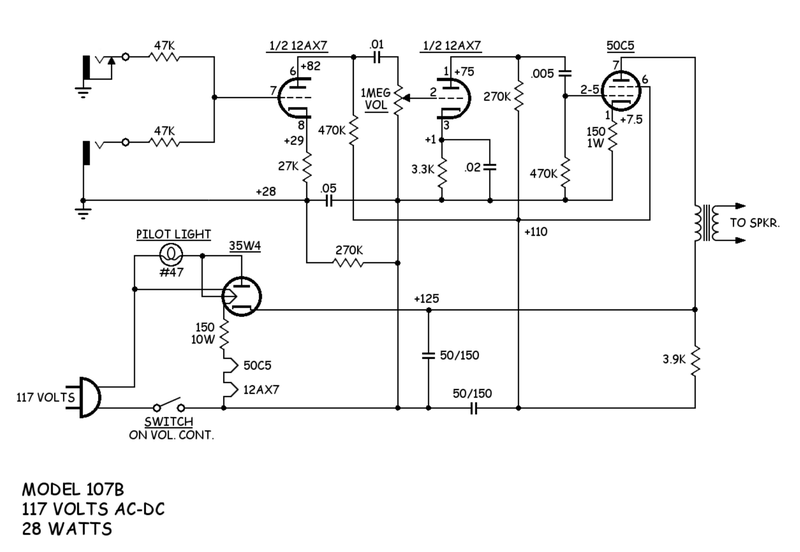 See Schematics for all solid-state amplifiers.